Sony was one of the first "big name" companies to hit us with a serious smartwatch in the form of the Sony Smartwatch 2 a couple of months ago. But the trend is nothing new; 2013 seems intent on putting smartphones on our wrists. The big news is, of course, that Samsung is rumoured to be revealing the Samsung Galaxy Gear smartwatch at IFA 2013 in a couple of weeks time. 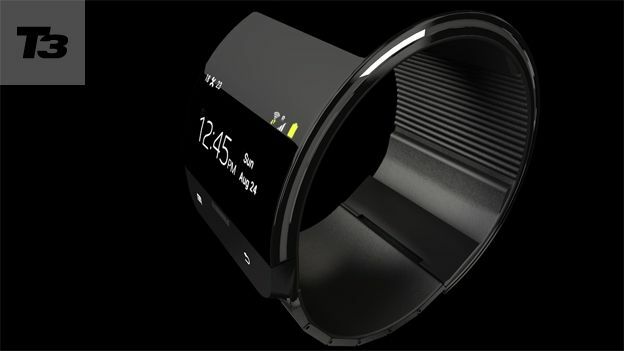 The Android-powered timepiece is expected to have a curved screen and be able to access the 'net and make calls without having to connect to your smartphone first. Early speculation puts the retail price at around £200. We're not going to bet against Samsung giving the smartwatch market a go. The South Korean tech giant seems intent on creating every kind of device you could need. And the latest news to reach our ears is that the Galaxy Gear could arrive in five different colours. But the smartwatch scene isn't (yet) dominated by the big brands. Just this week, the Omate TrueSmart smartwatch raised more than $100,000 on Kickstarter and will enter production. It's noteworthy for having a built-in five megapixel camera and a swipe-based motion control for swapping between features. The company says it hopes to ship the finished product to customers in October at a price of $299 (£190). Are fuel cells about to become a reality? GamesCom 2013: every movie in one place.